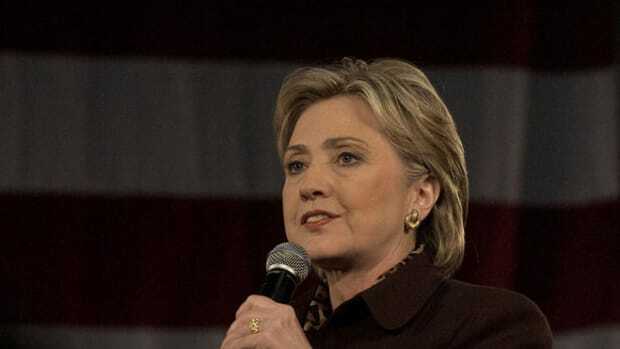 During the Democratic debate last month, Hillary Clinton assured viewers she would be a president at least as tough on Wall Street as her main opponent for the nomination, Senator Bernie Sanders. She cited her history as “a progressive who likes to gets things done.” Sanders and others, she added, might be “missing the forest for the trees” by aiming at big banks alone and not the more risky shadow banking system. 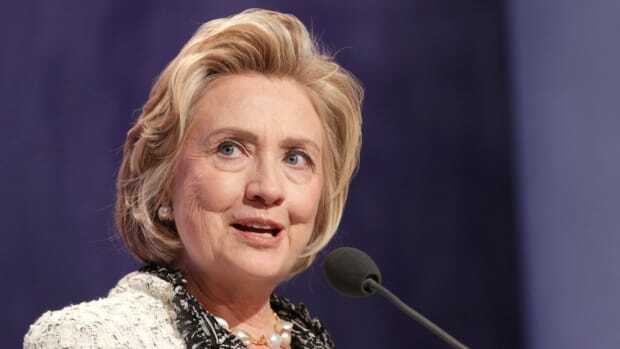 Clinton also proudly recalled that while serving as a United States senator from New York she warned bankers early in the financial crisis about their dangerous practices. 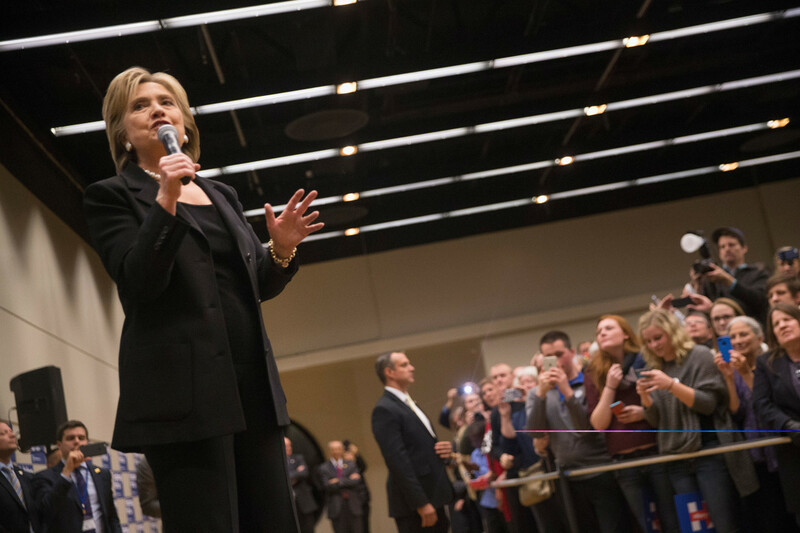 “I went to Wall Street in December of 2007—before the big crash that we had,” Clinton said. "I basically said, ‘Cut it out! Quit foreclosing on homes! Quit engaging in these kinds of speculative behaviors.’"
An examination of her remarks to Wall Street in December 2007 and Clinton’s actions as a senator—a period when she had the best opportunity to translate her words into deeds—presents a more mixed picture of her record on the banking industry. Clinton in 2007 publicly decried a tax break for hedge-fund and private-equity executives—and continues to do so in her current campaign. But she didn’t sign on as a supporter of a Senate bill that would have curbed the break. Clinton’s campaign referenced her Senate record in the fact sheet issued a few days before the debate titled, “Wall Street Should Work for Main Street.” It cited one bill—the executive compensation legislation that died. 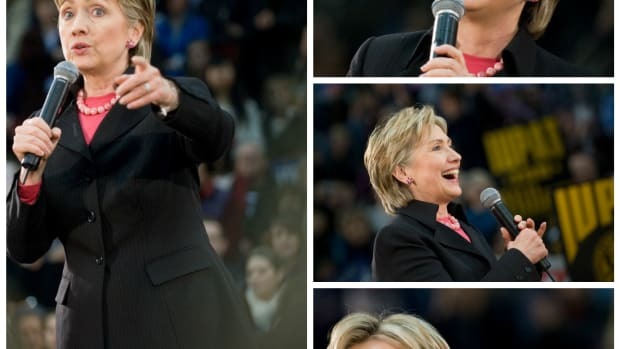 It also mentioned four press releases or speeches from 2007 and 2008—including a March 15, 2007, talk in which she proposed a series of housing initiatives and her call later that year for higher taxes on hedge fund executives. What they didn’t say was that Clinton never signed onto the bipartisan June 2007 bill that would have curbed the break. 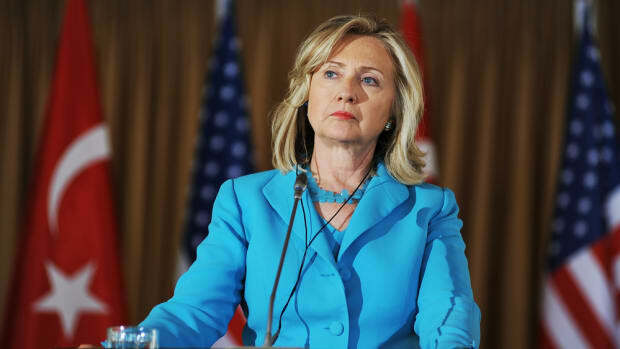 Her rival for the nomination, then-Senator Barack Obama, became a co-sponsor on July 12. 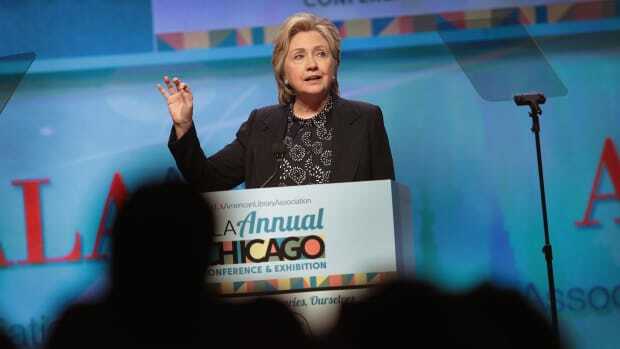 The next day Clinton gave a campaign speech criticizing the tax provision. Yet she still didn’t put her name to the legislation, according to records. During Clinton’s first presidential campaign, her official campaign website gave short shrift to financial or housing matters. In April 2008, the section of the website called “Hillary on the Issues” listed 14 topics; none involved housing, mortgages, or Wall Street. The bills she introduced dealt with some of the issues she raised in her speeches—including one aimed at making it easier for homeowners facing foreclosure to get their loans modified—but none of them advanced, records show. The only co-sponsor who joined any of them was fellow New York Senator Charles Schumer, who signed onto a bill that would have helped veterans re-finance their mortgages. That bill also died in committee without any action taken. The bill’s main sponsor, Senator Christopher Dodd, a Connecticut Democrat, summarized the bill’s journey and, in a floor speech, praised 13 other Senators for their help. Clinton’s name wasn’t among them. At the debate last month, Clinton said her campaign plan for Wall Street oversight was tougher than the one proposed by Sanders, in part because it would go beyond making sure banks aren’t too big to fail. “We also have to worry about some of the other players—AIG, a big insurance company; Lehman Brothers, an investment bank. There’s this whole area called shadow banking. That’s where the experts tell me the next potential problem could come from,” she said. A day before that speech, Clinton had quietly reached out to Paulson, Bush’s Treasury secretary, on behalf of some wealthy investors in AIG. The giant insurer had made bad bets on the mortgage market, couldn’t pay its debts, and faced imminent collapse. Shareholders were poised to lose billions if the company went bankrupt or was taken over by the government. A review of Paulson’s calendars shows that he and Clinton talked on September 17 and 20. In his book about the financial crisis, Paulson mentions just the first conversation, saying that Clinton called on behalf of Mickey Kantor, a lawyer, who represented a group interested in staving off AIG’s imminent collapse. The group’s investment banker, according to news accounts at the time, was Roger Altman. Kantor and Altman are longtime friends of Hillary Clinton and served as senior officials in her husband’s administration. Altman headed a secret energy task force for Clinton when she was in the Senate. But in an interview with ProPublica, Kantor said Paulson didn’t have it quite right in the book. Kantor said he was working on behalf of “major shareholders” in AIG, not Middle East investors. The shareholders he represented owned about 30 percent of AIG’s shares—one of them was Eli Broad, a Los Angeles billionaire, philanthropist, and friend of the Clintons. Kantor said he couldn’t remember whether he had sought Clinton’s help but said it was possible given their 40-year friendship. Kantor said he hoped to persuade Treasury his clients could raise enough money to “put the ship in order” but by the time Paulson and Clinton talked the Federal Reserve had concluded a private rescue, at a cost of at least $75 billion, was not feasible. By September 22, the Federal Reserve Bank of New York was completing a rescue package that gave the government almost 80 percent of the company in return for a loan of $85 billion. As a result, private shareholders, including Kantor’s clients, lost most of the value of their stock holdings. The U.S. eventually earned a profit of almost $23 billion on its investment. Paulson declined to comment, Altman did not return a phone call, and a spokesperson for Broad and his foundation didn’t respond to emails or phone calls. The most important action Clinton took related to the financial crisis may have been her vote in favor of the $700 billion bank stabilization plan, essentially a bailout of Wall Street. After a short but tumultuous debate the Senate approved the Bush administration’s plan, known as TARP, on October 1, 2008. Nine Democratic senators, 15 Republicans, and one independent (Sanders) voted no. This story originally appeared on ProPublica as “Hillary Clinton&apos;s Mixed Record on Wall Street Belies Her Tough &apos;Cut It Out&apos; Talk” and is re-published here under a Creative Commons license.